French authorities have decided to make a tax claim of 1 billion euros against Google following a probe into the tax strategies by the US Internet giant, Le Point magazine reported Tuesday. A Google spokesman in France declined to comment on the report, saying the company does not comment on rumours. The French finance ministry also declined to comment, citing tax confidentiality. France is one of a growing number of cash-strapped nations to pursue more aggressively what they see as abuse of tax and accounting rules that allows some multinational companies to pay less tax. French tax inspectors searched Google's Paris offices in June 2011 as it opened a probe into how the company implements transfer pricing between its different units, a strategy many multinationals use to shift revenue and tax liability between countries. 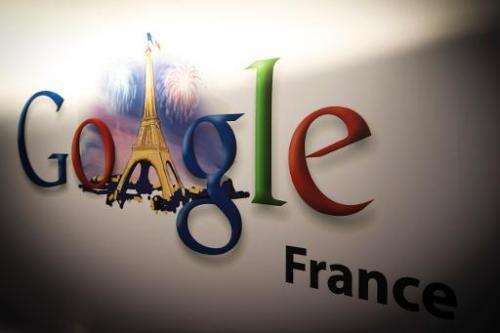 According to court documents obtained by AFP, Google France reported 192.9 million euros of revenue in 2012, and paid 6.5 million euros in tax on the 8.3 million euros of net profit it earned. Industry analysts estimate that Google generated between 1.25 and 1.4 billion euros in revenue in France in 2011, mainly from Internet advertising. Last year the Group of 20 advanced and developing nations endorsed an action plan to clamp down on tax avoidance which its creators say could lead to the biggest change in the global tax system since the 1920s.